A few passing clouds. Slight chance of a rain shower. Low 47F. Winds SSW at 10 to 20 mph..
A few passing clouds. Slight chance of a rain shower. Low 47F. Winds SSW at 10 to 20 mph. The Big Spring School Board unanimously reappointed longtime district employees Dr. Kevin Roberts and Richard Kerr as assistant superintendent and business manager, respectively, at last Monday's board meeting. Roberts and Kerr received new multi-year contracts. Roberts’ new contract is five years, from July 1, 2019, to June 30, 2024, with a base salary of $127,000, subject to a minimum 3 percent raise per year. Kerr's new contract is four years, from July 1, 2019, to June 30, 2023, with a base salary of $108,033, subject to a 3 percent raise per year pending an overall satisfactory rating in his annual performance assessment. The contracts outline responsibilities and salaries, as well as benefits such as personal days, healthcare, reimbursements and retirement savings, and reasons for early termination of contract. Roberts has served in the Big Spring School District for about 15 years and has held the position of assistant superintendent since 2014. His role includes providing guidance in instruction, supervision, human resources and school safety, or more generally ensuring principals, teachers and students have the resources and support to be successful. Before becoming the district’s second in command, he served as the principal of Newville Elementary School for 2 ½ years and director of curriculum and instruction for six years. 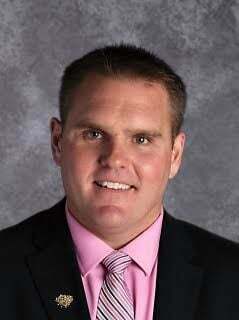 Before coming to Big Spring, he was an assistant principal at a school in Northern Virginia. He got his doctorate from the University of New England in 2016. Roberts is married with three children. Kerr has served as business manager since 2008. 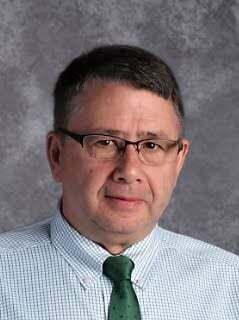 His responsibilities include managing the day-to-day operations of the district’s finances and business affairs. Prior to Big Spring, Kerr worked for the Tuscarora School District for about a decade. He served first as their technology director and then later became their business manager. Kerr is also a 22 1/2 year veteran of the Army. He is a Shippensburg resident who is married and has three children. Both Roberts and Kerr intend to sign their respective contracts. Roberts is excited about being part of certain initiatives, which he helped start, and then now being able to see them through, or “come to life.” He noted the Profile of a Graduate as one example. The Profile of Graduate is a model outlining what graduates need to be successful in life – also known as the 6 C’s of citizenship, creator, collaborator, continuous learner, critical thinker and communicator. He also looks forward to seeing the future ways in which the district reports student outcomes of the Profile of a Graduate and go about recruiting the professional staff to educate their students. He also noted a challenge in always been able to respond to unique student needs in the district. Kerr’s future focus will be supporting the district’s modernization in an effort to use less paper and move more information to “the Cloud.” Whether it be personnel records, financial analytics or payroll, the overall goal will be administrators having access to the same information in a more efficient manner. NOTICE NOTICE IS HEREBY GIVEN THAT THE BOARD OF SUPERVISORS OF SHIPPENSBURG TOWNSHIP, CUMBERLAND COUNTY, PENNSYLVANIA INTENDS TO HOLD A PUBLIC HEARING AND CONSIDER FOR APPROVAL AND ADOPTION AN ORDINANCE WHICH WILL BE KNOWN AS ORDINANCE 2018-06 AT ITS MEETING TO BE HELD ON SATURDAY, DECEMBER 1, 2018, AT 8:00 AM AT THE SHIPPENSBURG TOWNSHIP BUILDING.